Melt the butter and stir in the crumbs. Press into a tart dish and blind bake at 350 for 8 minutes. Tip: If short of time, blind baking is not necessary- just use crushed biscuits and butter without baking, but not as firm. Sprinkle bananas with lemon juice. 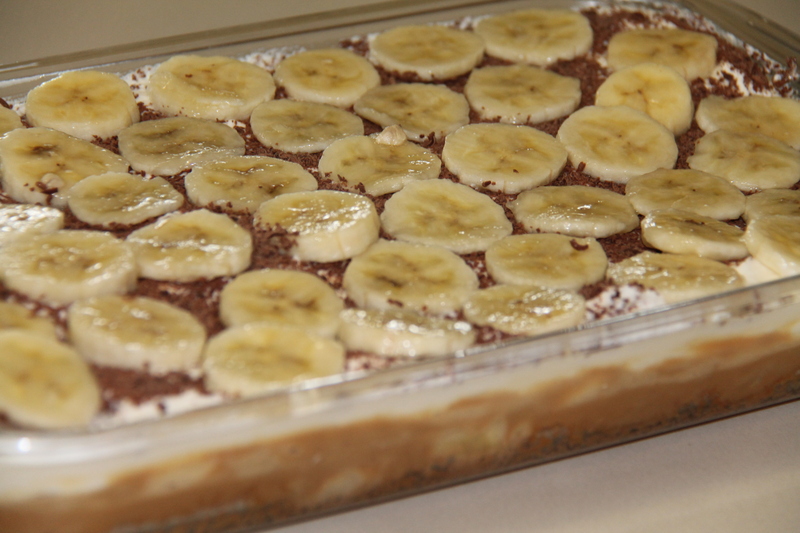 Lay half the bananas on cooled crust. Spoon on half the caramel and a third of the cream. 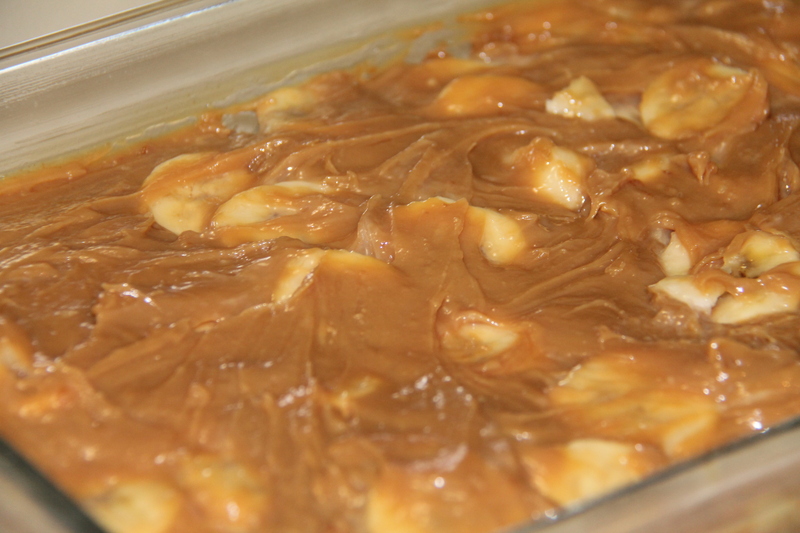 Make another layer using the other half of the bananas and caramel.